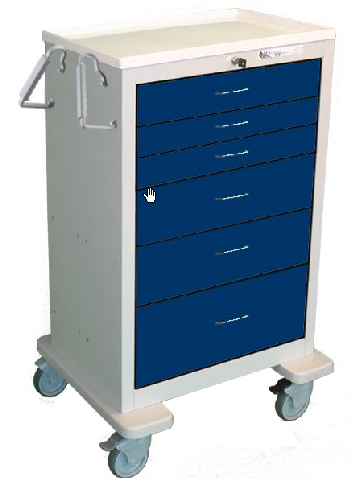 Available in aluminum, plastic, and steel. 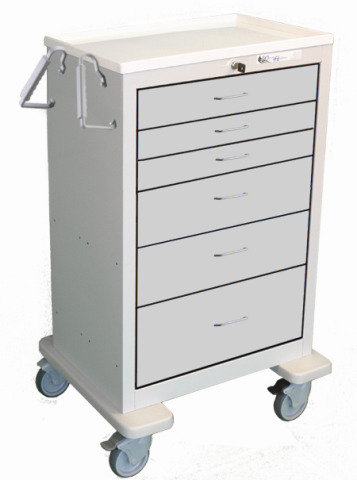 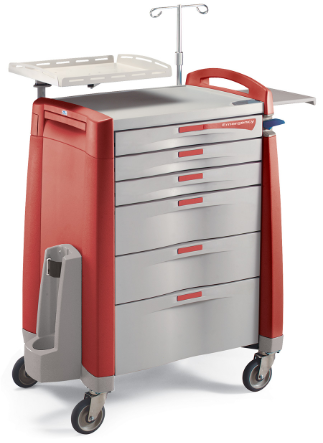 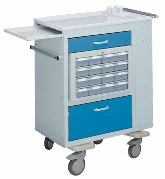 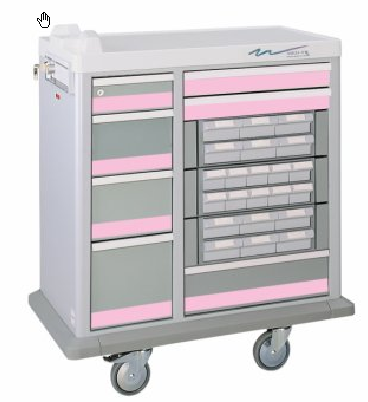 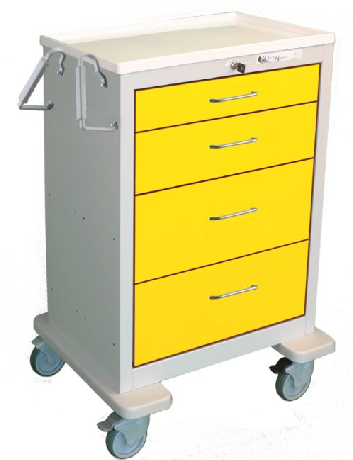 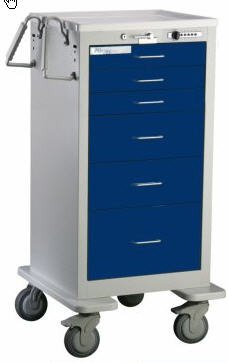 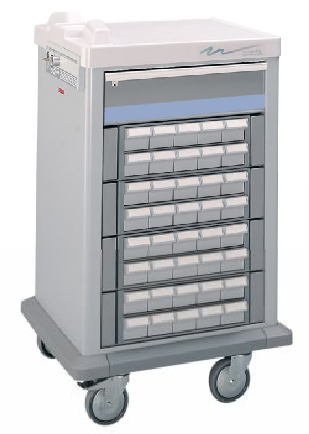 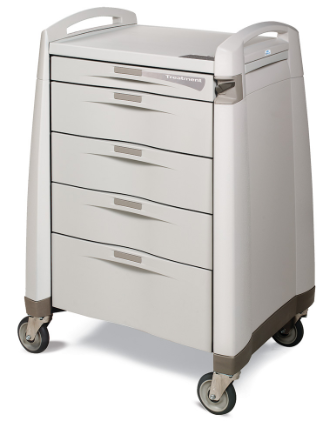 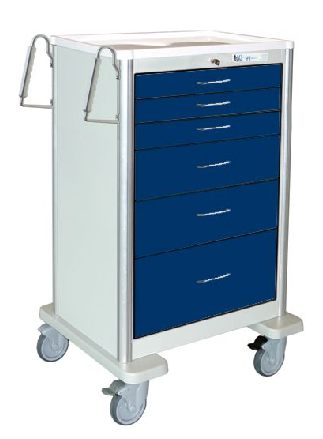 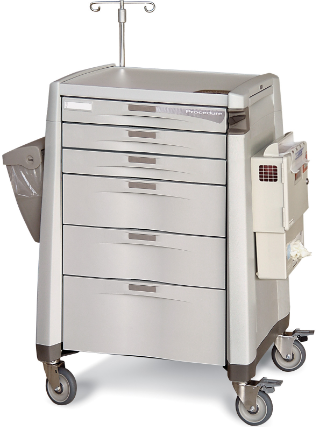 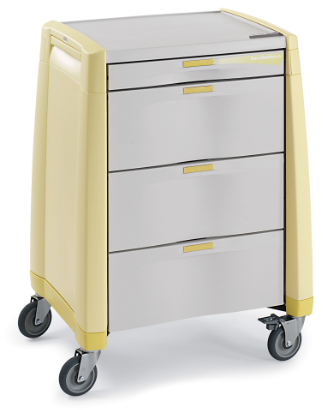 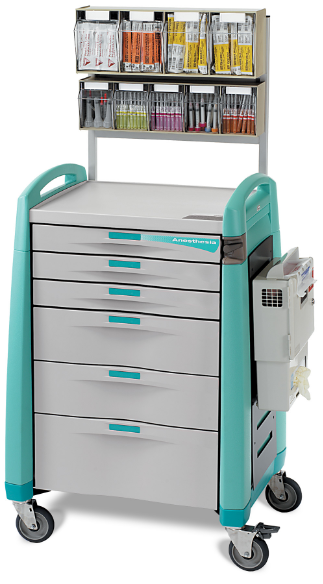 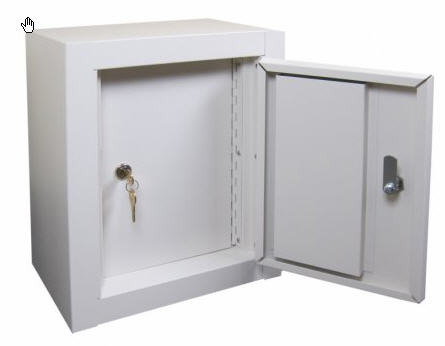 All carts are custom configured- 3", 6", 9", 12" drawer sizes are available with ball bearing glides. 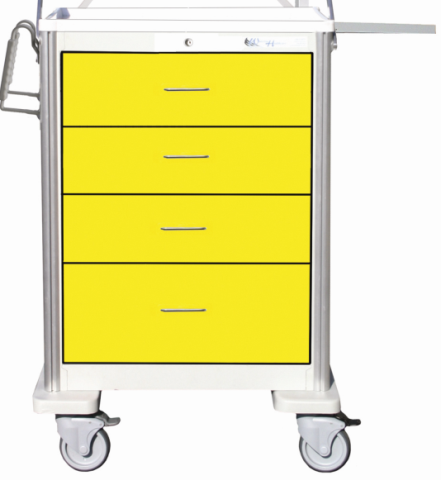 Accessories can be mounted to the side featuring aluminum extrusion side rails (no holes in cart). 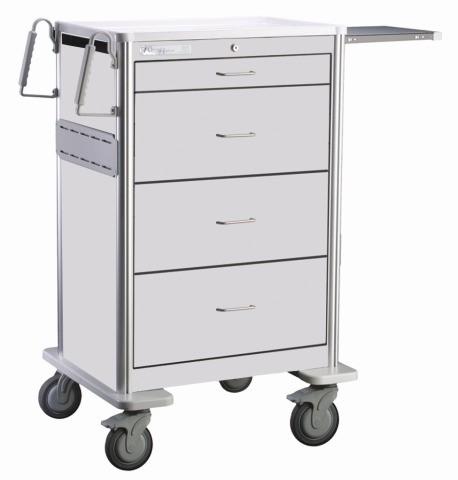 A slide-through side shelf, dual ergo push handles, ABS plastic tops, 5" premium casters. 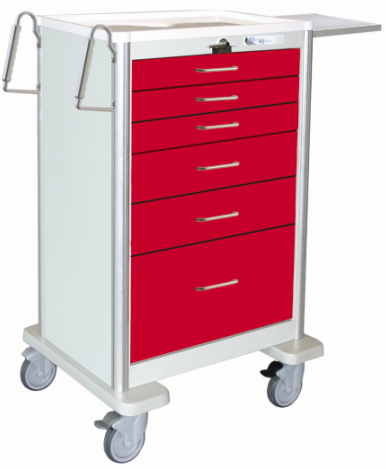 Stabilizer base, and five locking mechanism options; Proximity, Electronic, Pushbutton, Key, Breakaway and Gatelocks. 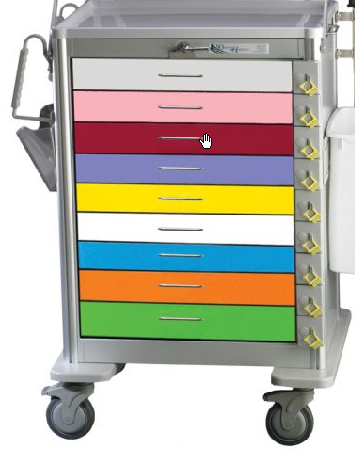 18 total colors available. 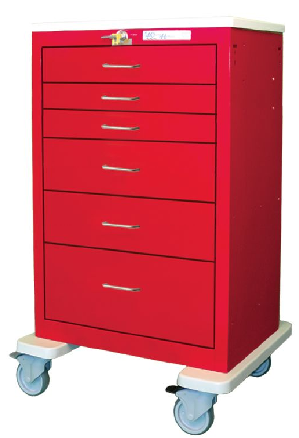 Contact your local DSI Territory Manager at 800.393.6090 for a price quote.